According to China Daily, at least 16 painted terracotta figures from 202 B.C.- 8 A.D. were discovered in East China's Shandong province. "This is the first time painted terracotta has been unearthed in the Jiaodong Peninsula, which includes Qingdao, Yantai and Weihai," the daily said. 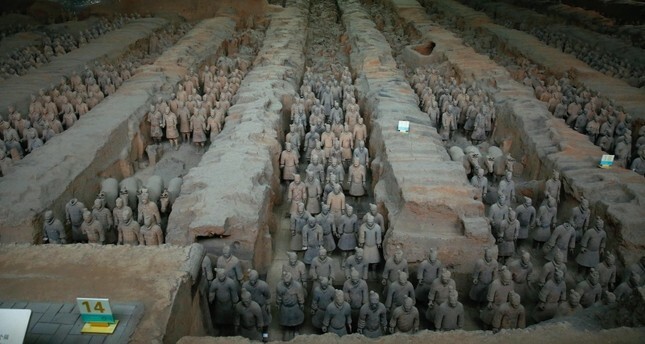 "The terracotta figures were identified to be warriors and servants," the news report said. Quoting the director of Qingdao Municipal Institute of Cultural Heritage and Archaeology, Lin Yuhai, the report said that one of the biggest challenges the excavation team faced would be preserving the figures' paintwork.